SOLID KONTROL The TRAKTOR KONTROL STAND elevates the TRAKTOR KONTROL F1, Z1, or X1 to standard mixer height for stable, rock-solid support. The TRAKTOR KONTROL STAND�s rugged aluminum frame provides a solid base for your TRAKTOR KONTROL F1, Z1 and X1 when performing. Rubber locating pins keep your controller locked to the stand. Large rubber feet ensure slip-free stability on any surface, keeping your F1, Z1, or X1 in place at all times. 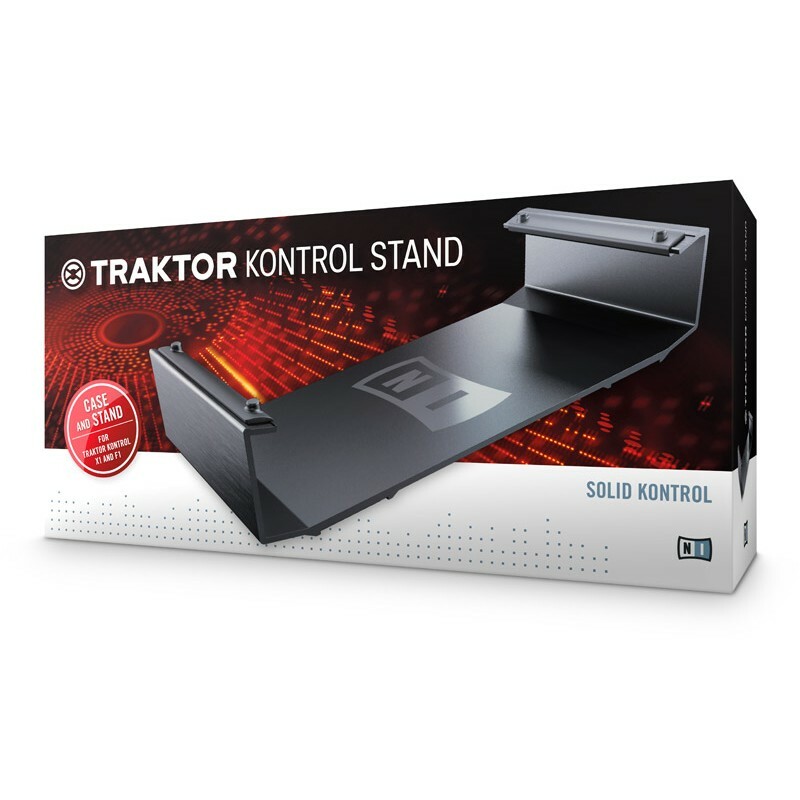 The TRAKTOR KONTROL STAND elevates your F1 or X1 to industry-standard height � perfectly aligned with turntables and DJ mixers such asTRAKTOR KONTROL Z2. Get the ultimate in performance control when juggling cue points and controlling TRAKTOR�s Remix Decks. The TRAKTOR KONTROL STAND also doubles as a rugged, protective case. Simply snap on the cover and slide the controller into the STAND � providing total protection for your TRAKTOR KONTROL F1, Z1, or X1.